Shooting guard who was selected 11th overall in the 2017 NBA Draft by the Charlotte Hornets. He played one year of college basketball at the University of Kentucky. In his senior year at Bentonville High School, he averaged 28.6 points per game and 7.6 rebounds. He was named Mr. Basketball of Arkansas and became a McDonald's All-American and a 5-star recruit. 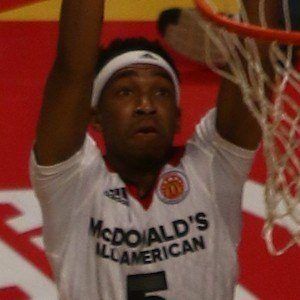 He set a University of Kentucky freshman record with 47 points in a game against North Carolina in December of 2016. His older brother Marcus Monk was an All-SEC wide receiver for the Arkansas Razorbacks. He was teammates with point guard De'Aaron Fox at Kentucky.